EAST LIVERPOOL — A. Berdina Rice, of East Liverpool, passed away Tuesday, March 19, 2019 at Valley Hospice in Steubenville. She was 91. Born in Irondale, Sept. 13, 1927, she was a daughter of the late Wilmer and Mae Martin Boyd. A resident of East Liverpool since the age of 15, she began working at the former Woodbine Laundry, then the Standard Oil in East Liverpool. She also worked the lunch counter at the bus station and later worked at Kozel’s Fabric Center. A devoted homemaker, she was a member of the Glenmoor Presbyterian Church. She was also active in the community, volunteering for Meals on Wheels for over 35 years, and belonged to a quilting club. She was preceded in death by her husband, Arthur “Lucky” Rice. The couple married July 31, 1945. She was also preceded in death by a son, Lawrence “Larry” Rice, five brothers, Ken, Walter, Glenn, Clarence and Frank Boyd, and two sons-in-law, Ron Nalette and Don Taylor. She is survived by two daughters, Cheryl Nalette-Taylor of East Liverpool, and Shiela Louise Beresford and her husband, Robert, of Loveland, Ohio, and a son, Jan Arthur Rice and his wife, Cate, of Durham, New Hampshire. A brother survives as well, David Boyd of Kilgore, Ohio. There are eight grandchildren, 14 great-grandchildren and 10 great-great-grandchildren. Friends may visit Thursday evening at the Dawson Funeral Home where the family will be present from 6 to 8 p.m. Bill Cox, Mrs. Rice’s cousin, will conduct a funeral service Friday at 11a.m. at the funeral home. Following the service, friends and family will gather at the East Liverpool Area Community and Learning Center for fellowship. Memorial tributes may take the form of contributions to the Tuition Mission Foundation, (formerly Dollars for Scholars), in care of either Lucky or Larry Rice’s Scholarship, P.O. Box 458, East Liverpool, Ohio 43920 or Valley Hospice, 4000 Johnson Road, Steubenville, Ohio 43952. 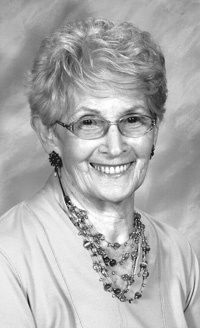 View Berdina’s memorial webpage and express condolences online at www.dawsonfuneralhome.com.